Since its inception, StraightVac has defined itself through its principals and expertise - and has let its values shape the StraightVac culture and brand. We're an industry leader, continually focusing on the advancement of our people, technology and services. We acknowledge our corporate responsibility to our own community, communities in which we do business, and our employees. 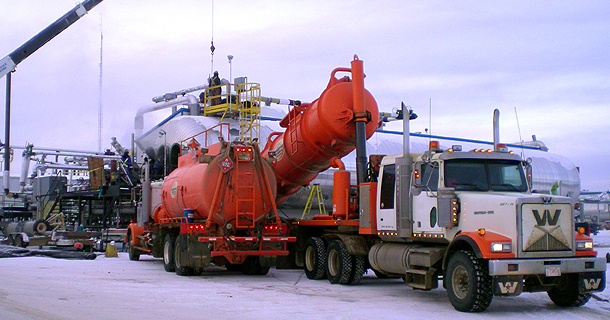 StraightVac has offered industry-leading vac truck, pressure truck, combo unit, water truck and steam truck services in the Alberta-region for over a decade, and recently expanded services to include hauling with new tankers, super b's, b-trains and end-dumps. We've provided quality service for long-term clients while working to expand our business and grow StraightVacs' customer base, fleet and staff. 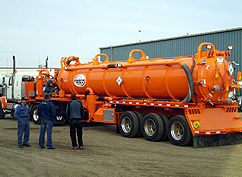 StraightVac has maintained a solid reputation for being one of the most desired vac truck companies to work for, and has proven its industry-leading position amongst its competitors by delivering personal, professional, timely and quality service to its clients. StraightVac values diversity in the workplace and is committed to the goals of employment equity. We strive to achieve a skilled workforce and are committed to the employment and career development of our people. Apply today. StraightVac believes that safe business is good business. We are committed to maintaining a strong health and safety program that protects our employees, clients, contractors, environment and the public. Read more. 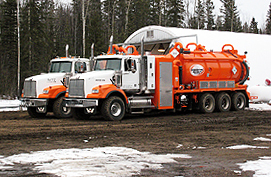 StraightVac is on the look-out for skilled operators and swampers. Visit our Careers page for more information. We are committed to maintaining a strong health and safety program that protects our employees, clients, contractors, environment and the public. Visit our Safety page for more information. If you have any questions or comments regarding our company, careers or services, please contact us. © Copyright 2019 StraightVac Services Ltd.